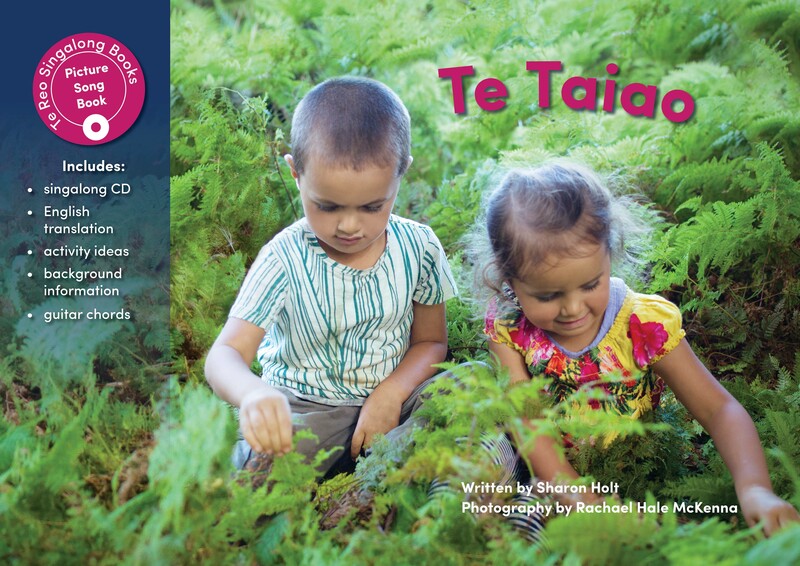 Two new Te Reo Singalong books are ready for you now! I can’t believe that it’s been more than a year since we published our last Te Reo Singalong books! Fortunately, for those waiting patiently, the next two books have just arrived at our place and we are sending them out this week. The photo at the left shows the books arriving – which is always a very exciting moment for us. We are sure you will love these two new books – one is about playing in nature and the other is about shapes. Te Taiao was photographed by renowned New Zealand photographer Rachael Hale McKenna. Rachael and I visited Matapihi Kindergarten near Raglan for the photo shoot with the children from the kindergarten. They have an amazing forested area where they can hide, run, jump in mud, investigate insects, climb trees and all sorts of other childhood pursuits. The beautiful song was written by our son, Greg Holt, and sung by Stacy Walker. We are sure you will love this new book about enjoying the natural environment, with an easy repetitive sentence structure and lots of interesting vocabulary. As well as being a great way to practise te reo Māori, this book might even encourage children to explore the natural world more often. 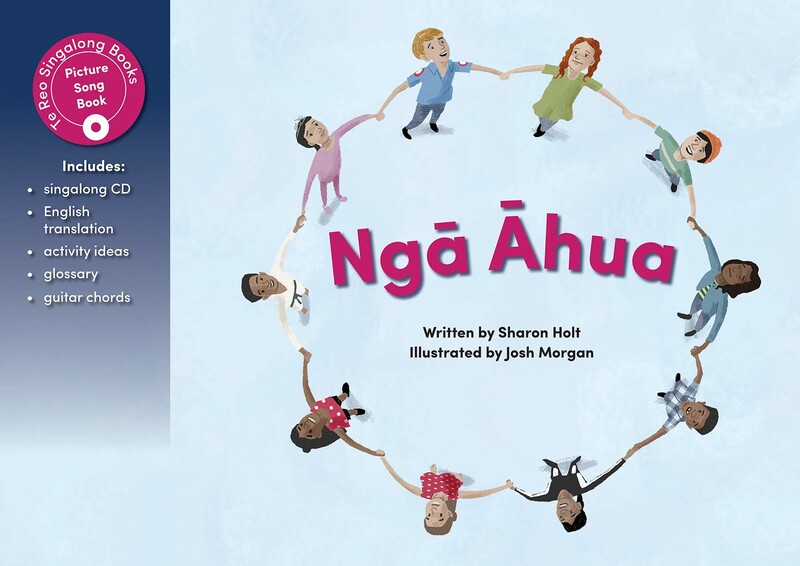 Ngā Āhua was illustrated by award winning photographer Josh Morgan. It’s a gorgeous book about shapes, which features children making shapes with parts of the body. A girl makes a heart with her fingers. A boy makes a triangle with his arms. At the end of the story, the children make a circle with their friends. I’ve been asked to do a shapes book many times, so I’m pleased that I’ve finally done it – and especially pleased that it’s so beautiful. Stacy Walker composed and sings the awesome song. This new book is much more than a book and song in te reo. Each right hand page is filled with shapes for the children to find. We are sure these new books will become favourites with teachers and children – just as our previous 13 Te Reo Singalong books have become. You can see pages from each book, hear the music and buy online at our website. We look forward to hearing from you.